If this is truly your first time, you are about to discover the beauties of being your own tour operator and a guide. 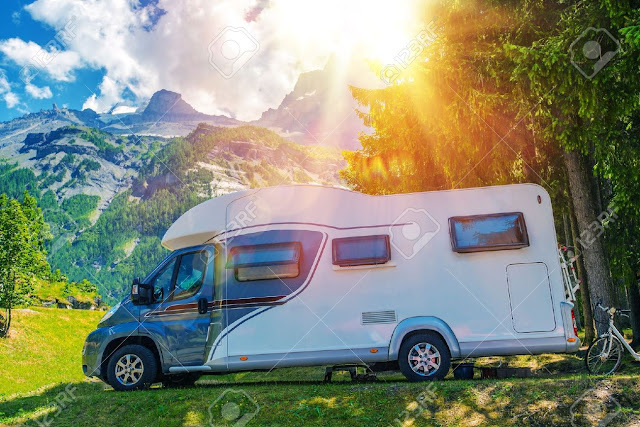 The experience ahead of you will be memorable and you will never want to holiday a different way, so much that you will be tempted to take your caravan on a plane with you overseas. There are a couple of grounds to cover be for you set off, so bear with me through my short list of basics. Testing 1, 2, 3... Check! Ok, some of the things written here you will do first and some are to take place before the very departure. Since you do not have much experience doing this, pretend you have arrived at one of your stops and try setting up. Start by firmly grounding the caravan and turning on all of the systems, power, water, and gas. After that you can set up the sitting area or whatever you decide is a priority. Make sure you know how to tow the caravan. Just before you set off, check that everything is secured, including everything that can be loose inside, any luggage, drawers, cupboards, fridge etc. any caravan parts that are on the outside should be fastened tight and not flap. Most of the caravans have well-organized space. Try to be cleaver and follow that pattern. Use zipper bags or tic tac containers to keep your spices. Get rid of any bulky packaging. Use hanging shoe racks for multiple purposes and not just your shoes, think of it as hanging shelves. Whatever space you find available underneath or inside something, use it. You need everything to be out of your way. Make a list. Before you even touch the caravan make a list of things to do and things to take. It will help you stay on track. A caravan needs the same basics a house does. You need a set of plates, pots and silverware. A kettle is a great thing not to forget. You also need cleaning products and toiletries. Some of these things should be left in the caravan so you do not have to pack them each and every time. When it comes to clothes pack lightly and only pack seasonal comfortable clothes. Perhaps, you can allow yourself up to two evening outfits, depending on the space you have available per person. Decide whether you want to cook or you will be eating out. Eating out, as a rule, will cost more and will sometimes keep you hungry for a while before you find a right place to stop. Pack snacks and agree on food which everyone likes and can last longer. Don’t forget repair tools and safety equipment. Since you will spend a lot of time in it, even if your caravan is fresh out of the factory, you still need to clean it. Clean it every day when you are on the road and take the trash out. There isn’t a lot of space and there is no reason to clutter it. Even the best caravan hose reels and hoses cannot help if you are not using them. Also, once your trip is over, clean the caravan before parking it in the garage for the next holiday. This way you will have less work once you decide to use it again and it will help keep pests away. Ensure that your water tank is clean and fill it with water. You need to make sure you have enough drinking water for the trip. Check the entire system for leaks, you do not want to be stuck somewhere without water. Also, have someone check your gas and your power system just in case. Don’t get lost. Plan your route carefully. Decide which places you want to visit and have fun getting there. Update your GPS device and get a good old-school map just in case something goes wrong with the technology. Check the weather conditions and incorporate them into your schedule. A key to a successful holiday is to have your mind set on relaxation. Do not stress out over schedules as this is exactly the reason why you are doing the entire thing yourself. Stay positive, enjoy your company and see where it takes you.